I ran a print job for 2 hours, and went to check the printer some time later and found that the LCD is all “noisy” (vertical lines with different intensities), displaying darker in the center (thing a inverted vignette) and a dead spot in the middle. I tested the cable but it doesn’t seem broken (shaking it didn’t affect the lcd). 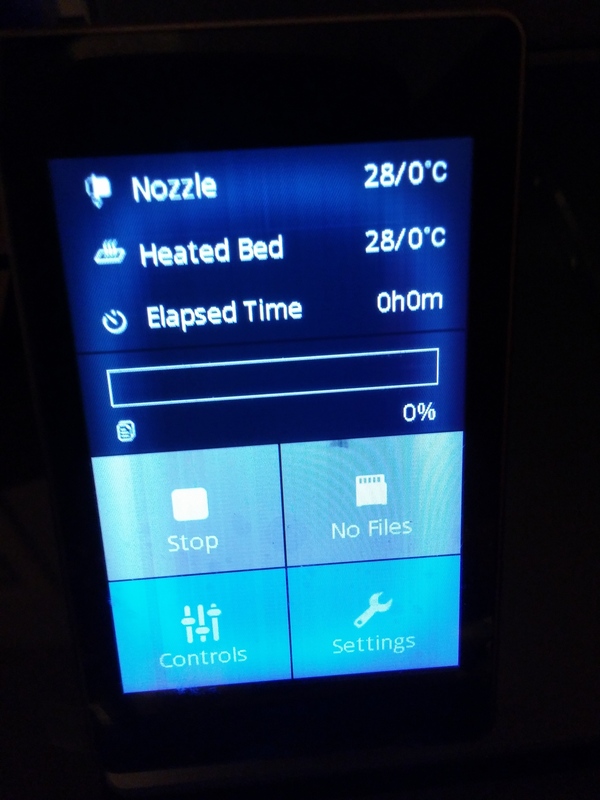 Reconnected, cleaned the connector, turned the printer off for few minutes, etc. No effect a all. My guess the LCD went bad and I need to start the warranty process. Just confirming if there is any test that I can do. I have the same issue. How to start the warranty process? In my case the process took around 2 months (from the first email to get it at my place - USA, East Coast).